The human body is amazing. It is always working and growing, changing food to fuel and fighting illness and germs. Parents take care of children's bodies by making sure that children have everything they need to grow and maintain good health. As kids get older and become more mature, they take over some of the responsibility for taking care of their bodies, and they learn that bodies need several different kinds of care to function well. Eat a healthy diet with food from all of the food groups: dairy, fruits and vegetables, grains and protein. Food provides vitamins and minerals your body needs, like calcium and iron. Start each day with breakfast, and choose healthy snack food between meals. Limit the amount of sugar in your diet, and drink water. Clean your body by taking a bath or shower. Wash your entire body from head to toe, including your face, and wash your hair regularly. A clean body is healthier, smells fresh and makes you feel good about yourself. Let your parents know if you are ready for deodorant and skin care products. Brush and floss your teeth after meals and snacks. If you take good care of your teeth, they can last your whole life. Healthy teeth have fewer cavities and less plaque build-up. Keep your breath fresh by keeping your teeth and gums clean. Control germs by washing your hands often with soap, especially if you or someone near you is not feeling well. Wash your hands before meals, after using the bathroom, after taking out the garbage and after blowing your nose. Wash your hands before setting the table or touching food, and cover your mouth and nose when you sneeze or cough. Exercise your body every day by finding ways to stay active. Play games that involve jumping, running and playing. Take walks, go swimming or help out with household chores. Exercise and physical activity keep your heart healthy, strengthen bones, help you to stay in shape and improve your thinking processes. According to The President's Council on Physical Fitness and Sports, physical activity is a good way to make friends and have fun with your family. Get enough sleep. Your body needs sleep to get ready for the next day. 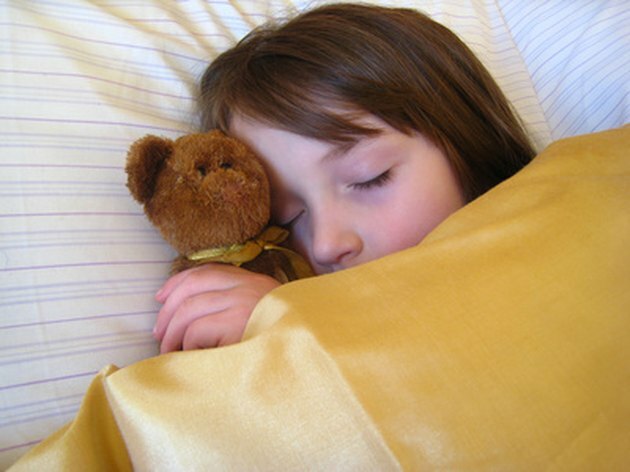 According to the National Sleep Foundation, your brain needs sleep so you can concentrate, remember and solve problems. While you are asleep, your body is growing, finding new ways to fight illness and building strength.